France's foreign minister says Western powers are preparing a tough response in case Syrian President Bashar Assad's regime deploys chemical or biological weapons in its civil war. 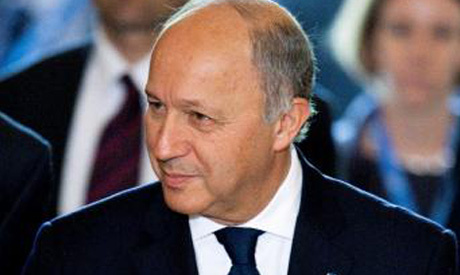 Laurent Fabius says "our response ... would be massive and blistering." Fabius, speaking on RMC radio Monday, said "we are discussing this notably with our American and English partners." President Barack Obama has called it a "red line" for the U.S. if Assad's regime were to use chemical or biological weapons. Fabius says Russia and China are "of the same position," but acknowledged frustration at their continuing support for Assad. Syria's leadership has said it could use chemical or biological weapons if it were attacked from outside. Syria is believed to have nerve agents as well as mustard gas and Scud missiles capable of delivering these lethal chemicals.